For the 2018 IEEE International Future Energy Challenge student competition, our team developed a 1-kW wide-output-range (400 V to 35 V-50 V) bidirectional dc/dc converter used in residential energy storage systems using on gallium-nitride (GaN) devices. This talk will describe the design procedure for the two-stage configuration that was proposed. The first unregulated stage was a CLLC (690kHz) dc transformer, and the second regulated stage was a two-phase interleaved buck/boost converter (350 kHz-1 MHz). To achieve high frequency and high efficiency, the triangular-current mode operation is applied for the interleaved buck converter. For the unregulated CLLC converter, it can always work at its most efficient point, and an analytical model is used to optimize the planar transformer. The proposed 1-kW converter demonstrated 94% peak efficiency and 2.21 W/cm3 power density. Dr. Yu-Chen Liu received the B.S. degree and Ph.D. degree in electrical engineering from National Taiwan University of Science and Technology, Taipei, Taiwan, in 2009 and 2015, respectively. He was a visiting researcher at the Future Energy Electronics Center, Virginia Tech., Blacksburg, USA, in 2014. From August 2015 to July 2016, he was with the faculty of the Department of Electronic Engineering, National Taiwan University of Science and Technology, a research assistant professor of the Power Electronics Laboratory. He is currently an Assistant Professor in the Department of Electrical Engineering at National Ilan University. 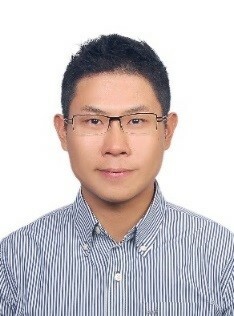 His research interests include analysis and design of zero-voltage-switching dc-dc converters, power factor correction techniques, redundant sever power supplies, and high efficiency converters. ECE Colloquium: Nami Park(UNIST L..
Special Seminar: Il Yong Chun(Uni..